Whitis was lodged in the Marion County Detention Center. 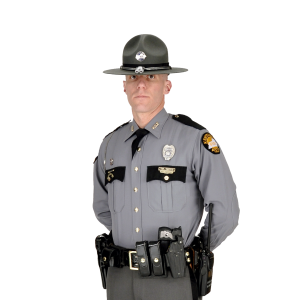 Washington County, KY (February 4, 2019) – On February 2nd, 2019 at approximately 7:49 PM EST Trooper Daniel Forbis was on routine patrol in the limits of Springfield on Hwy150 Bypass when he initiated a traffic stop on a 2000 Malibu for a registration violation. Trooper Forbis turned on his emergency equipment to initiate a traffic stop when the vehicle fled. The driver continued west on US 150 running a stop light at the intersection of KY 555, and made several turns on different roadways reaching speeds in excess of 100 MPH. The pursuit crossed in to Nelson County and back towards Springfield on US 150 when the driver sideswiped a vehicle while attempting to pass and lost control of his vehicle striking an embankment. Trooper Forbis then made contact with the driver, 25 year old Randy Whitis of Lebanon. Trooper Forbis arrested and charged Whitis with speeding 26 MPH > over, no registration plate, no registration receipt, fleeing or evading police 1st degree, (motor vehicle), wanton endangerment 1st degree, reckless driving, improper lane usage-vehicles keep right except to pass, failure to wear seatbelts, disregarding traffic safety device and DUI 1st offense. Whitis was lodged in the Marion County Detention Center.